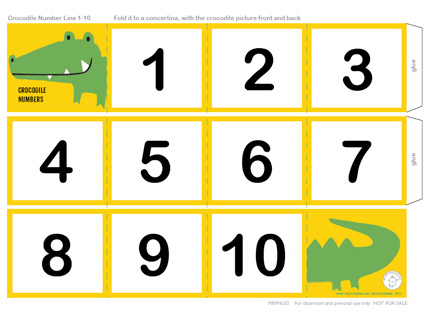 Choose a suitable printable number line for your child's developmental level from our growing selection. A number line is a useful learning aid to help children to make links between the numbers and to understand the sequence and order of numbers. It’s a good idea to use stories, games and objects together with your number line activities to make it fun and engaging. Different color cards (such as our rainbow number line) or fun shapes can add an extra twist. This can be a child’s first number line with big numbers from 1 to 10. It’s like a tiny accordian book with a crocodile on the front and back cover. This hungry croc has eaten up all of the numbers! 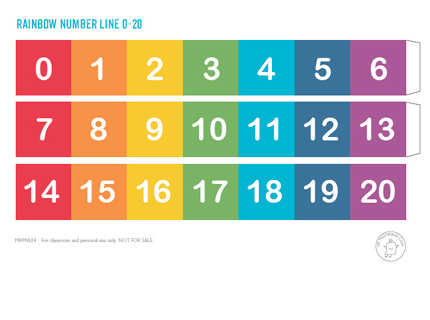 A cheerful number line running from 0 to 20 with 7 colors of the rainbow. These are also great for decorating with and cutting up for activities and simple number games. 1. Cut the number line into seperate pieces for children to arrange them in the right order. 2. 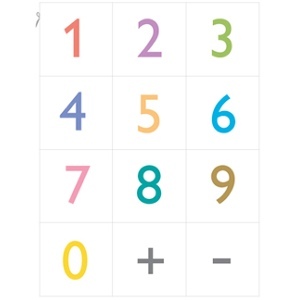 Cover up some numbers and ask children to work out the missing ones. 3. 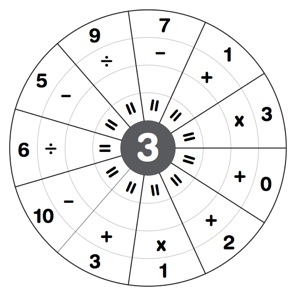 Place small objects next to the number line and count along with quantities. You can also use objects to test their number knowledge, for example; how many fingers am I showing or how many segments does this orange have? 4. Choose a number in your mind and ask a child to point a finger to their guess. If it’s wrong, say the secret number is bigger or smaller than this. Repeat this to narrow down to the answer. Have you learnt all the way to number 20? Great! 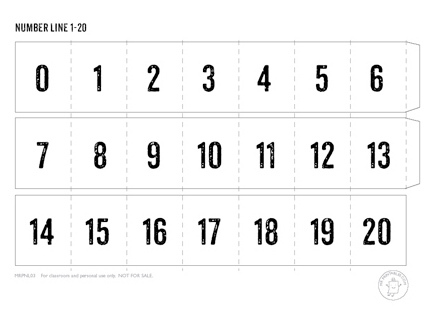 We’ll update more printable number lines here soon. Please check back! Thanks.